Established in 1996 with an in-house casual wear brand named “Wrecker” for both women and men with just 20 machines that used to do outsourcing for washing, the Noida-based company has come a long way since its inception. The company now has 400 machines for sewing and the latest technology for all processes. With a strong focus on innovation and technology, the group believes that denim is not just a pair that you wear everyday but has a huge scope of creativity as well. 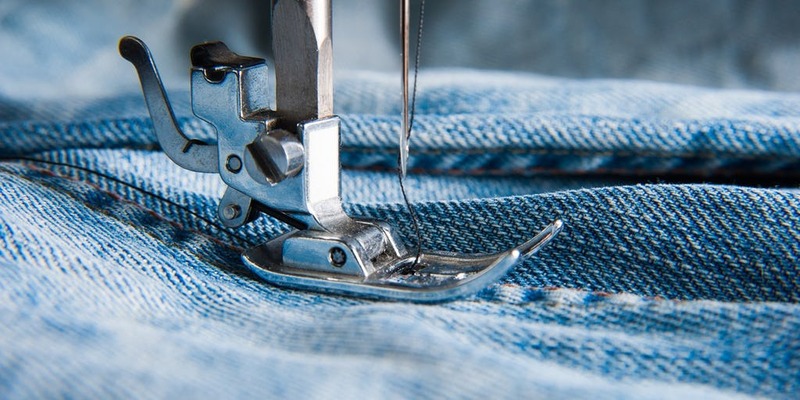 Exporting denims to all of Europe, mainly Spain (Mayoral) for the past 15 years and also to Italy, Germany, Denmark and the UK, the company has a 70:30 ratio in domestic use vs export of denims. In India, the company is currently making denim for reputed brands like Being Human, Black Berry (URBAN), RedChief and WestSide (WestSport & Nuon). Team Perfect Sourcing, in a tête-à-tête with Shailesh Jain, Director of the company lists the details of its journey. PS: How has the journey been so far? There have been many ups-and-downs since starting and now with hard work dedication and commitment, we feel that this growth will continue. Now we have more than 400 machines with in-house laundry facilities; washing and designing is also done within our premises. Denim is a creative product and the market is also lucrative and growing at a very good speed. People who are making denim for mass markets have grown substantially vis-a-vis those who are making it for standard or premium markets. PS: What are the focus products? Consumers want best quality denims at reasonable prices, so that’s what we are focussing on now. We are more into fashion and premium products and foresee substantial growth in this segment. Our focus is mainly on denims for men and kids and we feel that the growth can be 20 per cent yearly in this segment. Kids’ wear comprises almost 80 per cent of our total capacity. Very recently we have started with men’s wear brands like Being Human, BlackBerry (URBAN), RedChief and WestSide (WestSport & Nuon) also. Apart from jeans, denim dresses, skirts, shirts and jackets are also well received in all age groups. Jeans is becoming more of a working class culture than a fashion garment. PS: What upgradations have been done in technology at your company? Denim needs constant innovation and for that, technological upgrades are the need of the hour. We have all facilities in-house. Fabric & trims are what we procure and the rest all is done with in-house facilities including embroidery & all kinds of washing. Cost reduction is possible only by increasing capacities and so presently, we are working on numbers and also making IE (Industrial Engineering) department work more efficiently towards cutting down costs. PS: What is the strategy of growth for 2019? More machines, new laundry, compliance facilities, less buyers and more capacity. PS: What is the monthly capacity of the company’s manufacturing unit? We have the capacity to produce 1,25,000 pieces monthly with hi-tech machinery and adhering to benchmarked quality standards. The fabrics that we have are denim 3.50 oz. to 14.50 oz., canvas, twill, poplin, voile, cambric, linen, corduroy, yarn dyed, twill lycra, satin lycra in various washes, prints & embroideries. As for denims, we have jeans, jackets, shirts, dresses, skirts, blouses, vests, tops, t-shirts, shorts, bermudas, trousers , capris, overalls, rompers and jumpers. PS: Any expansion plans? If yes, by when will it be completed? Yes we are planning some expansion over the year and one more factory will be coming up in Noida soon. We will be increasing our capacity in sewing and washing and focus on different washing techniques as well. We are focussing on practices and products which are eco-friendly with less water consumption needed in washing or other processes. We plan to start this expansion from June 2019. PS: What are the challenges of the denim market and manufacturing today? Price has been the biggest challenge for the denim market today. But in our experience, conversion of basic denim to a high fashion product will bring you out from that challenge. PS: What is the general export market scenario prevailing at present? At present exports orders have shrunk in number and it would be less as compared to the past two years. But the market forecast is that it will increase after 2020. PS: What measures do you take to grow with sustainability? Sustainability is very important to any business or else it becomes a risky affair. We have limited ourselves in buyer selection and capacity allocations for individual customers. Increasing business with regular co-partners in addition with 1-2 new partners every year has made our growth sustainable. PS: How is your company complied with the concept of Gender Equality? Gender equality in garment industry is very important. We pay both males and females as per Govt norms and special security is given to all women co-workers so that they feel safe. We are in association with a 3rd party NGO where our workers are in direct touch with them to get advice in case of any sexual harassment by any co-worker and internal team within the organisation. The organisation also takes updates from workers at regular intervals. Right now, the ratio of women to men is 30:70 but we hope to increase the number and make it 40:60 in next two years. We are also associated with an NGO called ‘Syadwad Yuva Club’, where we are doing free health check up camps, blood donation camps, clothes distribution , education for the poor, food distribution , cleanliness drives and many other activities. Why Is India Not Able To Reach Apparel Export Targets? How this Indian apparel exporter is planning to bolster profits? Can West Bengal Be The Next Garment Manufacturing Hub In India?